Are you ready for a night of belly laughs? 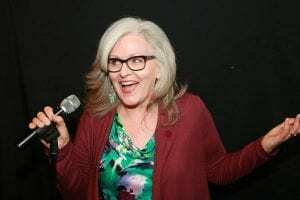 The Village Christian Church and Shine.fm invite you to join hilarious author, speaker, comedian and mother of five Tracy DeGraaf for her one-woman show “Life Happens Laugh Anyway” at The Village Christian Church, 8965 S. Bell Road, Minooka, IL on Friday, March 8, 2019 from 7-8:30 p.m. Advance tickets are $15. Tickets at the door $20 (if available). This will be the perfect date night for couples or girl’s night out for ladies. For more information, contact Sarah. For advance tickets go to: Eventbrite.